Defence career group is well known for the CDS Classes coaching in Dehradun from all aspects. We ensure with our latest syllabus that the student can clear the exam in first go. To meet students expectation we have hired a team of best professional in the industry. 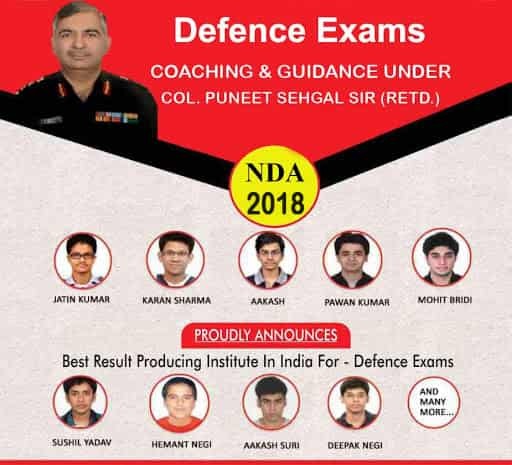 Who has a number of year experience to deal with all level of students Moreover, our world-class infrastructure is like icing on the cake for CDS Coaching Classes in Dehradun. Additionally, our staff and management clearly understand students and parents expectations, therefore, we accordingly. CDS is organized in two parts for the post of office cadre in for all three wings called Indian Army or Indian Navy or Indian Air Force or Officer’s Training Academy (OTA). Note: The candidates can mentioned post preference at time of registration. An aspirant must be either Indian, or A subject of Nepal, or Bhutan, or Tibetan refugee who came over to India with the intention of permanent staying in India before January 1st, 1962. But the aspirant of Indian origin who has migrated from Pakistan, Srilanka, East African or Burma countries of Kenya, The United Republic of Tanzania, Uganda, Malawi, Zambia, Zaire, and from Vietnam with the intention of permanently staying in India. Indian/ outside India or the candidates from neighboring countries who are settled in India. The maximum upper age limit varies for the different institutes and categories but the minimum age limit prescribed is 19 years. Married candidates can apply only for both Air Force Academy (AFA) and OTA. Dehradun Pincode: 248001 Ph: 9915857423, 07837012642 | ndacoachingindia@gmail.com.